Rejoicing with our new brother and sisters in Christ after their baptism. Today was another incredible day in Namasigue. We welcomed 1 new brother and 5 new sisters into God’s kingdom today. These included Emerson Beningo Armas, Marcia Armas along with her 2 daughters Karen Daniela and Keyli Melissa Bonilla, Betty Argelia Velasquez, and Maris Bonilla. Please pray for these new converts! Praise God!! 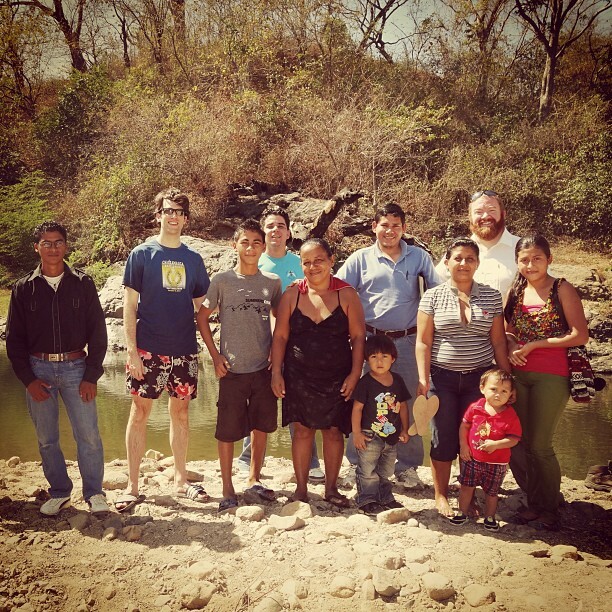 Home » Blog » Faith » Rejoicing with our new brother and sisters in Christ after their baptism. Today was another incredible day in Namasigue. We welcomed 1 new brother and 5 new sisters into God’s kingdom today. These included Emerson Beningo Armas, Marcia Armas along with her 2 daughters Karen Daniela and Keyli Melissa Bonilla, Betty Argelia Velasquez, and Maris Bonilla. Please pray for these new converts! Praise God! !